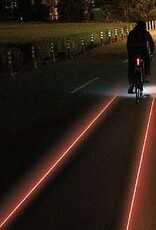 A safety light that beams two safety laser strips to the ground. 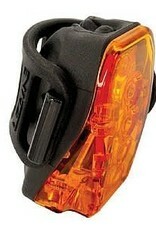 Compact, high visibility safety light with four ultra bright LEDs. 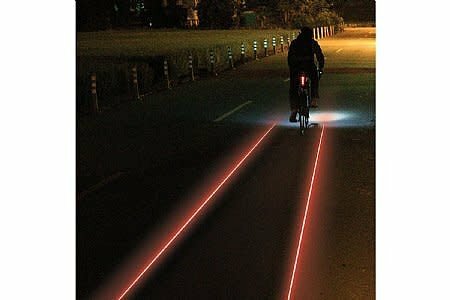 Laser-mode beams two safety strips on the ground. Light and durable co-molded lens/body construction. Waterproof. Unique aero and round post compatible design. 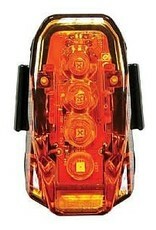 Provides up to 250 lumens and multiple output/flash modes. Extended lens for 180 degrees of visibility. Convenient Micro-USB rechargeable design. 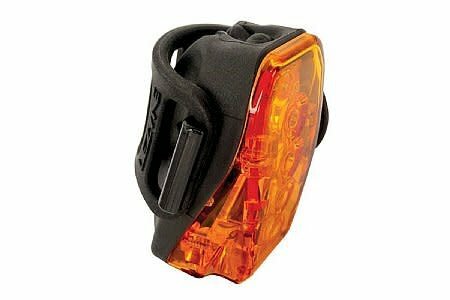 If you're looking for a rear light to give ultimate visibility, the Lezyne Laser Drive is a good contender. 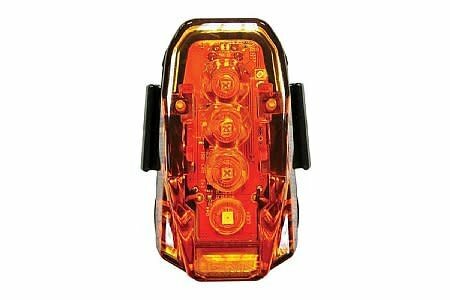 It's got a massive peak output, lots of mode options and shines laser guides onto the road surface to increase visibility and encourage passing at a safe distance.